Accidents happen. Sometimes there is no avoiding a collision. Wildlife, parking poles, fences, snowbanks, other drivers, street repairs, road conditions, over-due vehicle maintenance, drivers on cell phones...whatever the reason behind the mishap, Fredericton Volkswagen has your best interests in mind. 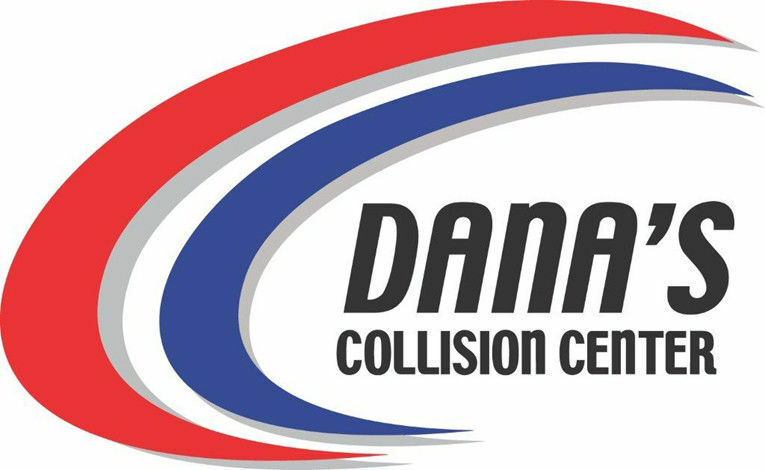 Although Fredericton Volkswagen does not have a body shop, that doesn't mean we don't care about your vehicle's repair needs, which is why we proudly recommend Carstar Collision & Glass Service and Dana's Collision Centre right here in Fredericton! If your vehicle is in need of body repairs or estimates, we will gladly assist in connecting you to these two reputable shops for fast, friendly, and reputable vehicle repairs. Your car is more than just a car! When an auto accident slows you down, CARSTAR Auto Body Repair Experts are here to get you back up to speed. As North America’s No. 1 brand of auto body shops, we know just how to take the stress out of your collision repair. We believe a courteous reception, acknowledgement, and a comfortable reception area will only help set the stage for a smooth claim and repair process. We recognize that every customer is unique in their own situation and needs. Each year we have the privilege of repairing & restoring vehicles to pre-accident condition for over 1500 customers in Central New Brunswick. Exterior & Interior Car Spa Detailing – Restoring that exterior and interior for that clean, lustrous shine. Clear Film Paint Protection – A high-quality, durable film applied to the hood, fender corners and bumper of your vehicle to protect against stone chips to your paint from road debris. Headlight Renewal – Polishing away the discolouration and restoring your lenses, improving the performance of your headlights. Rustproofing – Non-drip, eco-friendly undercoating to protect your car from rust. As much as 40% of the damage to a vehicle can be "hidden". Today's vehicles are of a unibody design. Your insurance company must put "you" back in "pre-loss condition" after your collision. Our obligation is to restore your vehicle to pre-accident condition. Plastics now make up a large part of your vehicle. A deployed air bag system must be restored by trained professionals. If your vehicle has been declared a "total loss" (write-off) it means it is not economicaly feasible for the insurance company to repair it. Some repairs can take a number of days depending on parts availability. If your vehicle would not pass the provincial MVI after a collision, then it should not be driven. Your VIN vehicle identification number found on you dash tells the entire story of your vehicle. After metal repairs are completed to a damaged vehicle, corrosion protection must be applied to all metal parts. What are some "good" driving tips? Most importantly, pay attention. Accidents occur because drivers were not aware of the conditions around them. Be aware and know that distractions can come from many sources at any time. Do not consume alcohol, drugs, medications, or other substances that may affect driving. Select a radio station or have the tape/CD in the player. Plan your route, check the map, or read the directions. Be aware of changing driving conditions, such as the volume of traffic, weather, etc. Avoid using the phone or device whenever possible (see below about laws banning devices). Pull over to a safe location to take the call. Tell your caller you will phone them back after you have parked. If allowed and if you must answer the phone while driving, keep the phone within easy reach. Use a hands free device (e.g. voice activation) but remember the conversation itself is still a distraction. Do not use the text feature on your phone while driving. YES!!! New Brunswick, British Columbia, Manitoba, Prince Edward Island, Saskatchewan, Newfoundland and Labrador, Nova Scotia, Quebec, and Ontario currently have legislation which specifically bans or restricts using hand-held cellular phones or other similar devices while driving. While other Canadian jurisdictions do not have specific legislation, drivers who cause accidents or who are driving unsafely while using a cell phone or device can be charged with offences such as dangerous driving, careless driving, and criminal negligence causing death or injury. Always check with the local, provincial, state or country regulations. Using a cell phone while driving may be banned or may require hand-free sets. 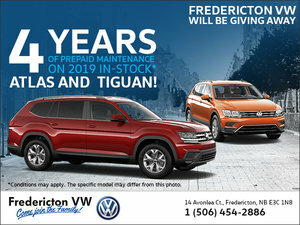 For more information, contact us today at Fredericton Volkswagen.